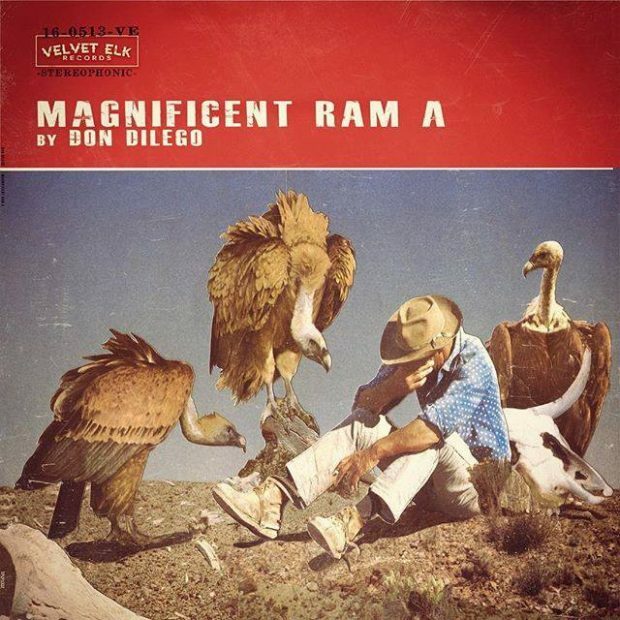 Magnificent Ram A, the forthcoming album from Don DiLego, saw it’s roots form in Portland, OR with producer/engineer Gregg Williams (Blitzen Trapper, Dandy Warhols, The Decemberists), and wind it’s way back East to the wooded Pennsylvania retreat that is Velvet Elk Studios. Many of those original sessions found their way onto his last album, 2012’s Western & Atlantic, which won an Independent Music Award for “Best Roots/Alt Country Album.” The remnants of those original sessions form the foundation of a project he’s long thought about…a collection of click-track free analog recordings that embrace their imperfections and happy accidents. On the heels of producing the recent releases from Jesse Malin (New York Before the War, Outsiders) and Hollis Brown (Loaded, 3 Shots), Don set aim at finishing the album that’s never been far from his mind. An album that would be, perhaps, less meticulous in process than his critically acclaimed Photographs of 1971. From the thunderous drone of the opening track “Karma King,” to the more intimate and personal one-take vision of “Idiot Heart,” it’s his most ambitious set of recordings to date.